A bird race is a “fun race” where teams of two or more compete against each other in searching, identifying, and recording as many species of birds within a stipulated time. 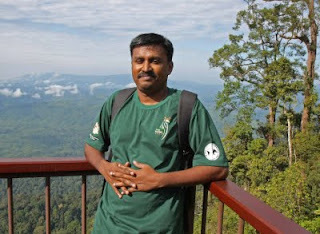 This event is jointly organized by Malaysian Nature Society(MNS) and Borneo Highlands Resort(BHR) aiming to promote the love and appreciation of nature amongst the community. 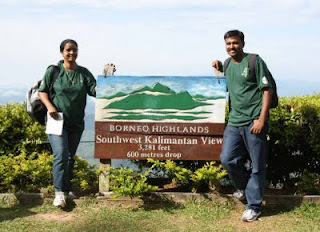 It was really great experience to visit Penrissen Range inside Borneo Highlands Resort. 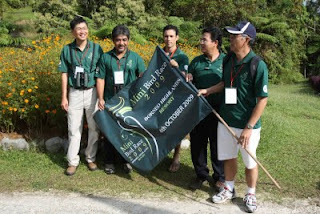 We meet few other bird watchers of kuching and they mentioned that they have seen some of rare rainforest birds. We really want to watch Hornbill in wild so we started to go to Kalimantan border which is considered as the best place to look out for birds. We took a short bus journey to border and surprised to see a beautiful view of the rainforest. But we could not identify/watch any birds but enjoyed the scenery there. We walked all the way to the base camp (2.2km). 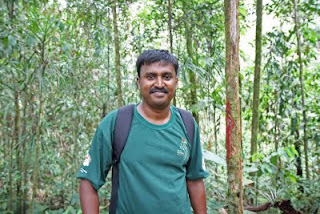 Enjoyed the beuty of rainforest....Maybe we need to learn more about birds before we take another bird watching trip. 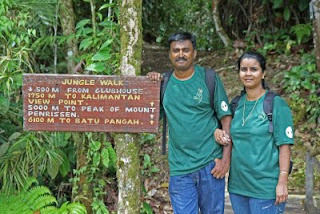 We really enjoyed the Penrissen range and love to visit again..hopefully will see the HORNBILL in wild. It was nice to see you with your wife. 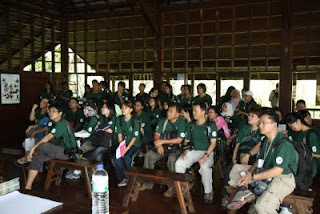 You are actively involved with Malaysian Nature Society(MNS) and Borneo Highlands Resort(BHR) - your field of your study and interest. GOOD WORK. KEEP IT UP.